Simplest winter manicure in the world! I got this manicure done in less than 15 minutes. Impressive isn't it? 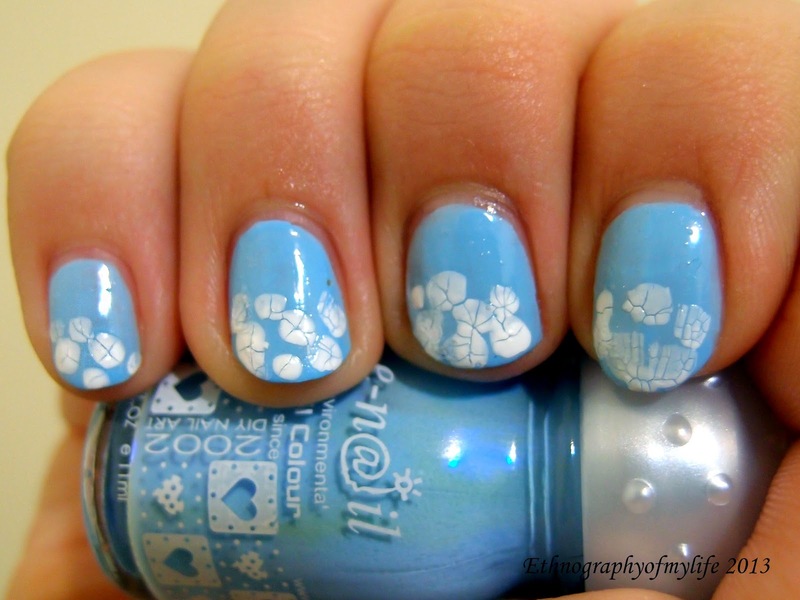 I used E-Nail Baby Blue as base, and Popcorn (shatter/crackle white) for the clouds/snows on the tips. I wonder if I should still mention the brand of polishes again, because I am strictly using water based E-Nail now. I like it's simplicity. You may notice about the variation of my recent photos. I am taking simple photoshop courses now and I learn quite a few tricks to adjust photos. I hope its an improvement. I have a lot of manicures look amazing in real life, and the photos look dull. A bit adjusting is good to make those pics alive.